Wonderfully awkward: Iknitarod. The toughest.....knit?....on earth! Is it just me, or do all those very same bad things happen to dogs (horses, cats, guinea pigs, and on and on) who are owned by irresponsible people? Every genre (including rescue groups) has its irresponsible animal owners. You want to know about the Iditarod? There is a bunch of great info out there including a number of documentaries about it... or come to Alaska and see it. It is amazing. You're so right, Bobbi. You can find cruelty and neglect anywhere. To lump everyone together and say they're ALL like that is ridiculous. My first instinct when reading the opening lines was to snort my tea in laughter. Anyone who knows these dogs knows that they want to run more than anything in this universe. Just TRY to keep these dogs from running. Cruel? Hardly. Thats Glickmans 11-year-old diatribe against mushers, Iditarod, YQ, anything she doesn't agree with. She doesn't get that you can't "push" a dog, it has to want to pull. All the mushers I have ever met have gone above and beyond in the care of their dogs. 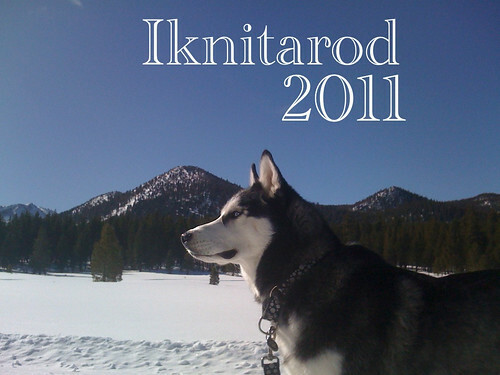 Anyway, where do I get in on the Iknitarod and order the yarn, love both colorways. Hi Cecile! One of the girls of Iknitarod told me the same thing. She wrote on her blog about the Iknitarod last year, and she got the same diatribe. Awww, you mean I wasn't singled out? 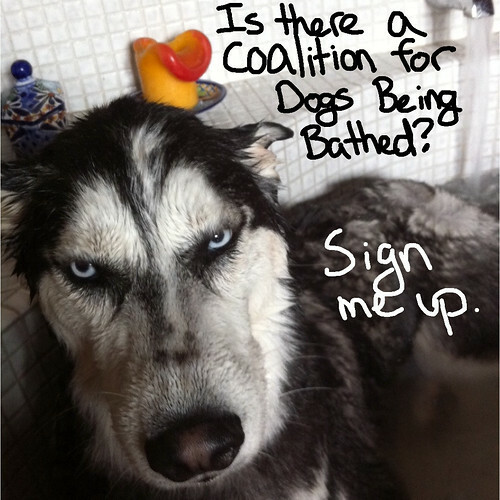 Somehow with the word "coalition" I imagine they wear Che style hats with their snow parkas. Are you a member of Ravelry? 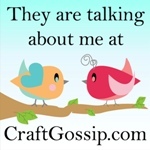 If not, it's totally free to sign up and it's the best knit/crochet/everything resource EVER! You can go here: http://www.Ravelry.com/groups/Iknitarod. And click the "join" button. Thats all it takes, and jump in on the message boards! I'm trying to figure out a way to broaden the Iknitarod outside of ravelry, and when I get it figured out I'll be sure to post here. As for the yarn colorways, there's 2 threads on the message boards. One is called "Raven Frog Fibers promotion", where Bobbi gives details on how to order the Alaska Husky colorway (I really want some too, too bad I'm on a spending moratorium!) and the other thread is called "stash up or find your pattern for the Iknitarod" where you can contact smokeyblue about her amazing color way. Also want....very badly. Darn spending moratorium! Darn vet bills! If you have any more questions, don't hesitate to ask, and thank you so much for finding me! "Run!! (=good) Snow (YES!!) Silly (human)"
Pretty sure my malamutes are happiest when they have their harnesses on! Erin: My huskies may not be the most "focused" sled dogs you'll ever see, but they love it. The people I used to mush with do dryland mushing at a nature preserve in southern california. There's a model airplane group that flies their planes there every weekend, and in the past we've gotten comments from them like "that's cruel", and "animal abuse" and such. Oh, please. If they knew how these huskies howl and yowl and lunge at their harnesses before they take off, they wouldn't be saying those things. Those dogs want to to run more than anything! Malamutes may be slow and steady, but they want to run just as much. Am I right?